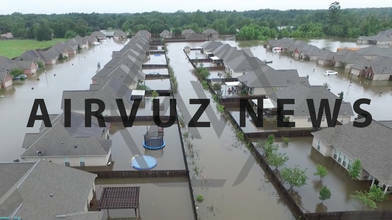 Description: Flooding from last weekends heavy rains has made it’s mark on south-central Louisiana. The rainwater has caused the flooding of thousands of homes and is attributed with killing at least six people. One local man decided to use his drone to help us all understand the gravity of the situation in Louisiana. Aaron Colona lives in Hammond LA, just north of New Orleans and east of Baton Rouge. After the floods hit the surrounding area, Colona went out to help a friend who was displaced from his neighborhood. The drone footage speaks for itself. From above, Colona was able to show just how devastating the flood damage was. He didn’t expect his videos to become viral, he just wanted to help those who couldn’t see what was going on in their communities. Colona was surprised by how well his drone footage was received. It wasn’t long before others realized the potential importance that drones could play in helping with natural disasters. Colona agrees that drones are becoming a positive force to help people realized the seriousness of the situation. With the help of drones, regular citizens can provide others a first hand look of exactly what’s going on. Follow AirVūz News for the latest updates in the drone community!